Today we are pleased to announce that our 7 days in Nicaragua: Colonial and Volcanoes Route has been chosen as an Unordinary Trip of the Month by InfoHub.com, the #1 travel portal on the Internet specialized in the out-of-ordinary vacations. As a major Nicaraguan tour operator, we’re truly excited to see it happen and believe this is a great opportunity to further promote international tourism in Nicaragua, inciting more people from all over the world to come and explore our beautiful country . In light of this, we are glad to offer our guests a special prize! 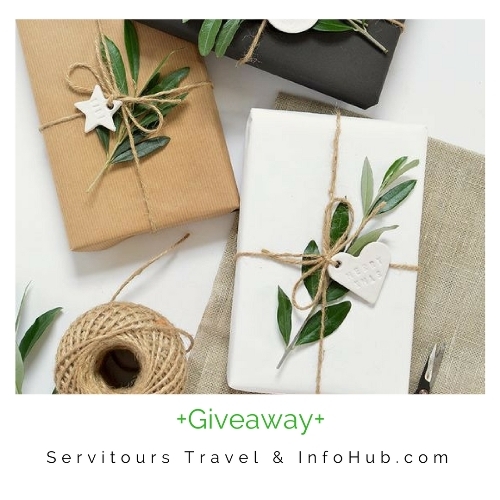 Any of you who book the above tour before September 20, 2017 may be eligible for a very special prize from InfoHub’s sister-company GPSmyCity– publisher of travel apps for Apple and Android. The GPSmyCity app features offline city maps, self-guided walking tours and travel articles for 1,000 cities worldwide, using which you can turn your mobile into a personal tour guide. With this app in hand you can explore Managua, Granada, and other major urban destinations in Latin America on your own, at your own pace. The GPSmyCity app works offline so there’s NO need to worry about roaming charges when traveling abroad. A lucky winner will be chosen at random and get a one-year full membership of the GPSmyCity app including access to ALL the GPSmyCity content – over 6,500 self-guided city walks and travel articles – to the total value of over $8,000!!! Book now and enjoy your Nicaraguan adventure with ServiTours!